The Currie Antirock sway bar kit provides balanced performance of front and rear suspension for rugged off-road conditions. It gives the driver increased traction by balancing and distributing the weight and traction over all four tires. 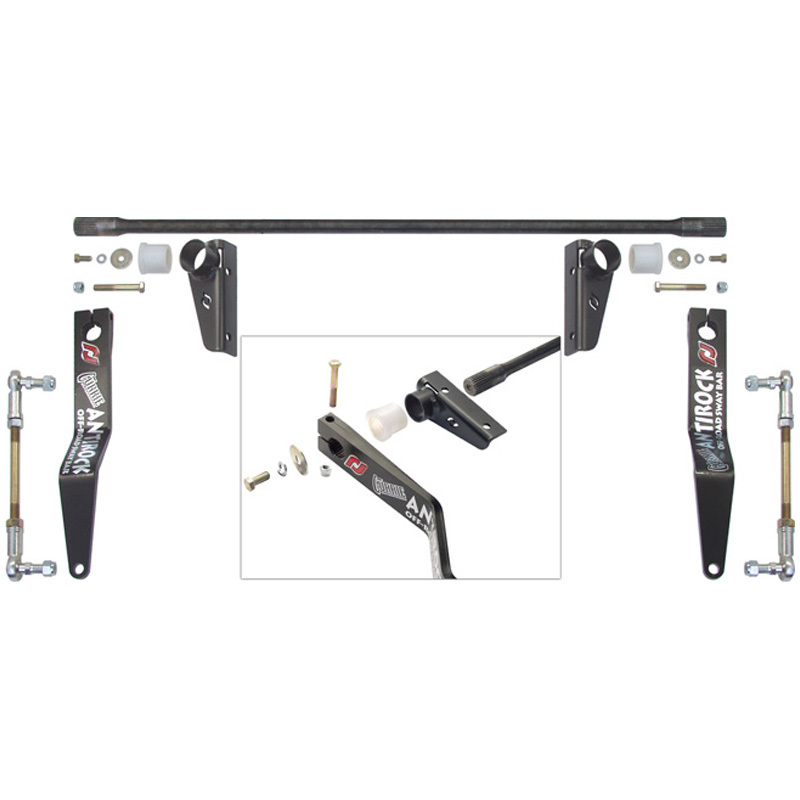 The Antirock off road sway bar is designed to directly replace the stock Jeep sway bar. This bar is made of SAE 4130 heat treated steel for ultimate strength, which is the same quality used in professional off-road competition sway bars. This kit includes all components for installation including, the sway bar, semi-gloss black Powdercoated bolt-on steel frame brackets, delron bushings, semi-gloss black Powdercoated arms, adjustable length heim jointed sway bar links, necessary hardware, and step-by-step instructions. Unit bolts into existing holes in the bottom of the frame rail and attaches to the stock mounts on the vehicle's axle housing. The Currie Antirock sway bar does not need to be disconnected for off-road use. Caution: Jeeps will have more body roll than stock. This sway bar may be used on the street, however, it will not provide the same handling characteristics as the stock setUp.